We added two new writers to our AosHQ Authors list! First is science fiction writer Patrick Chiles who was recently signed by Baen Books. Congratulations! He is the author a science fiction thriller series. 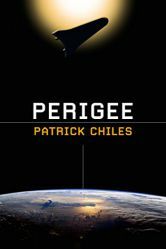 The first book, Perigee, is about a space liner that gets marooned in Earth orbit. The sequel, Farside, has just been released and is on my review list. We also added James Dudley, whose humorous and exciting period spy novel The Clown Prince of Paris was our latest New Release feature. I read Perigee over four years ago! Honest to goodness, it was the first book I bought when I got my first Kindle, in January, 2012 (a recommendation from Insty, if I'm not mistaken). I had no idea he was a fellow AoSHQ alum. Patrick, if you're reading this, congratulations on signing with Baen -- I'm elated for you and insanely jealous. Perigee was taut, and I couldn't put it down; and I was saddened (no spoilers) at one point. As soon as I get to a good stopping point, I'm going to run out and pick up Farside. Thanks!